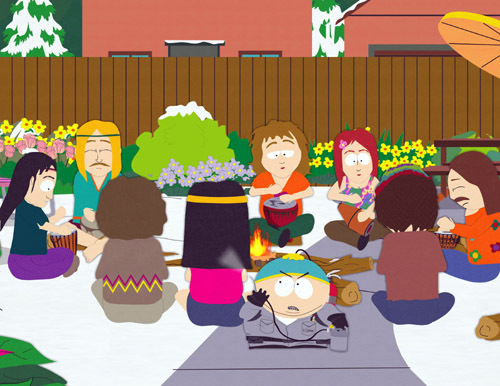 I don’t like hippies. Especially Tree Hugging, cheating, drum circle loving, Cardinal hippies. It is a shame the Irish couldn’t beat them 100-0. That still, would not be enough to quench my blood lust for the extinction of all hippies. They do have good grass however. Here are my final thoughts on the final game of the final season of losing for The Notre Dame Fighting Irish. What an amazing showcase Robert Hughes has put on these last 2 games. His display of vision, power, and determination keeps my prior comparison to Reggie Brooks viable. I could not help, however, as to sigh as he was caught from behind on the first run. Brooks would have took it to the house. Don’t get me wrong, I LOVE this kid and he has become perhaps my favorite player on offense (know where I can get a #33 jersey). He seems to have everything that Aldridge was supposed to have and is healthy. With all that has happened to him and his family these past months, it just amazing what he has accomplished. I can’t wait for the spring game to see how much he has improved during the off-season. One of the main areas of concentration should be his explosiveness. Top end speed is difficult to improve on, but getting to your top speed quicker is a very reachable goal. HUGHES!!! Once again the Irish failed to hold on to the football. Their only saving grace was the fact that Standford’s kicking game looked like ours. Derek Belch went 0-4 for the game for the Cardinal. One turnover was an ill advised throw from Clausen and the other 3 were fumbles (one by Schwaap… more on that in a minute). 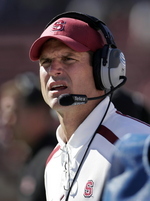 Stanford only turned the ball over twice on interceptions. One of those resulted in a short Irish drive that was capped by a Jimmy Clausen TD run, his 2nd of the year, solidifying his spot as the teams third leading TD rusher after Thomas (5), and Hughes (4). Tommy Zbikowski nabbed his 2nd INT of the year with a nice one handed catch that looked like he would take into the end zone, until he slipped on the turf. P.T. at FB. Try something better. Something needs done about this. I just can not figure out why the Irish didn’t throw the slant more often this year. They finally threw one to Kamara for a nice completion with about 1:36 left in the first half for the first time in what I believe was 5 games. 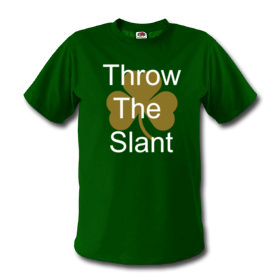 “Throw The Slant” should be the motto for the 2008 version of “The Shirt”. Timing is a big reason why this play works so well. That and man coverage. 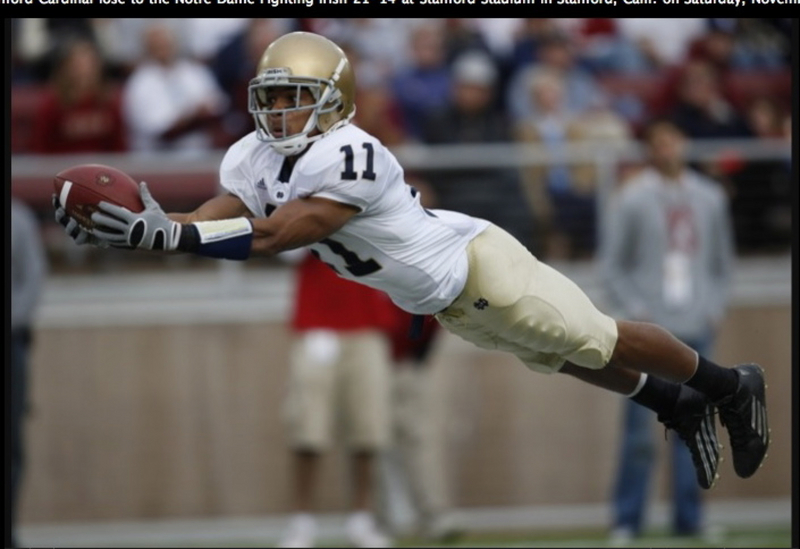 And defenses play a lot of man on the Irish because of how much they blitz against ND. This pattern needs to be one of the main focuses of improvement by Jimmy and the WR’s this off season. 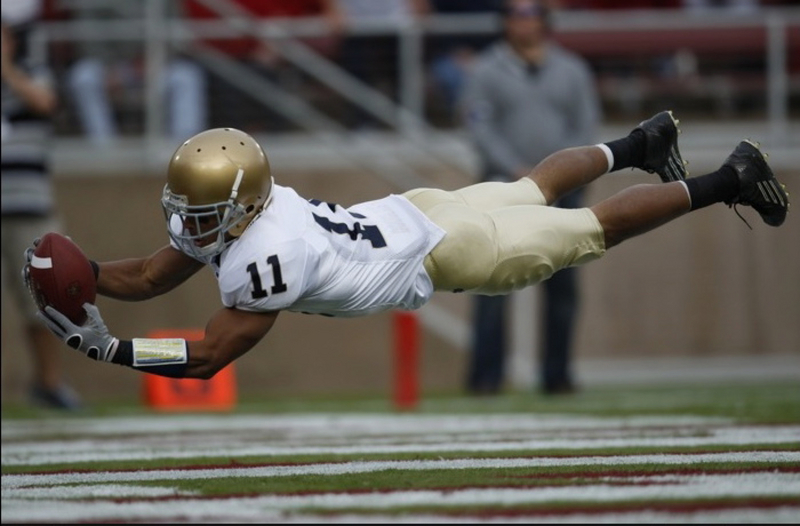 If ND can get this pattern going next year, watch out for a HUGE season from Duval Kamara and maybe even incoming recruit Michael Floyd, as they have the hands and body type for this type of play. Not only were there idiots in the booth, but on the field as well. Big East officials flagged Laws on the lateral touchdown run by Tommy Z for a personal foul. I still have not seen what he did. Maybe I’m wrong, but screw ’em. This game marked the end of a few careers at ND. Most notably: Trevor Laws, Tom Zbikowski, Jon Carlson, and Joe Brockington. I will have a tribute to EACH 5th year senior on later postings from Subway Domer. Until then, Thank -you boys, for all you have given this University and its loyal fan base. Thank-you and we will miss you. That was the worst playing surface I have seen in a while. And I was at 4 ND home games this year… so that’s saying something. The progress Corwin Brown has made with the defense this year has been outstanding. If he can just get them to tackle. Back to basics boys. The Stanford Axe Keyboard commercial left a puddle in my pants. Nerds. Notre Dame finally won a trophy game. Ready for a long cold winter? You are currently browsing the archives for the We are done losing category.